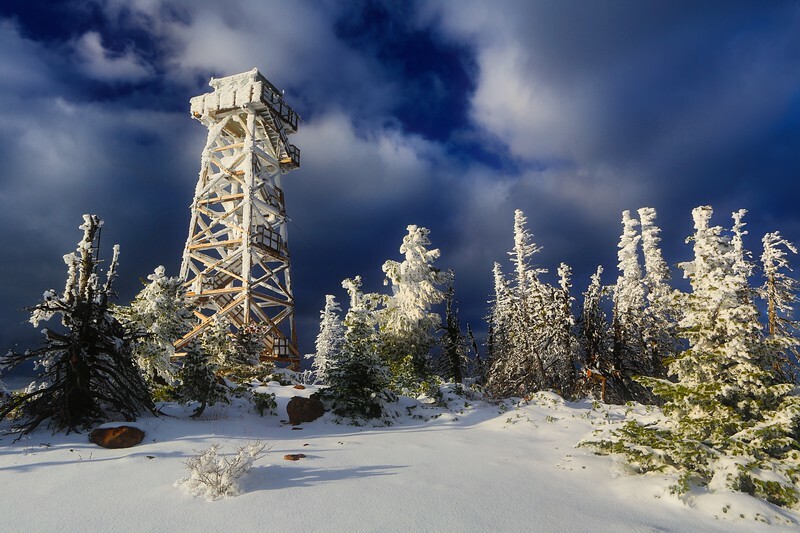 This 68 ft tower at the top of Black Butte overlooks the Willamette National Forest of Oregon. Great capture. Lovely colour saturation. Fantastic capture of the trees and tower covered with hoarfrost!